A Ryan Longwell personal appearance, Ryan Longwell speaking engagement, or Ryan Longwell endorsement will reflect well on your company. To hire Ryan Longwell now for any corporate appearance, fundraiser, motivational speaker event, personal appearance, autograph signing, or website endorsement please contact our celebrity agents at 1-877-6-SPORTS. We will contact Ryan Longwell or contact Ryan Longwell's agent and provide you with the booking fees and availability immediately upon your request. Direct Sportslink is the only sports speakers bureau and talent booking agency based in the United States securing only sports talent for corporations, associations, and organizations for motivational speaking engagements, personal appearances, and endorsements. We are the premier sports celebrity booking agency and a sports celebrity procurement expert. Accordingly, we will provide you with any relevant Ryan Longwell website information and booking agent details so that you can hire Ryan Longwell for your next event. Ryan Longwell was born in Seattle, Washington. He attended high school in Bend, Oregon, where he played football for Bend High School's Lava Bears. In 1993, he started college at the University of California, Berkeley where he played football and earned four varsity letters. At California he served as both a punter and placekicker for the team, earning all conference honors in the Pacific 10 Conference his senior year as a punter and second team honors as a kicker. 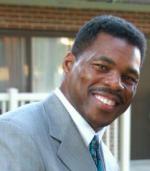 Longwell was acquired by the Green Bay Packers off waivers from the San Francisco 49ers in 1997. 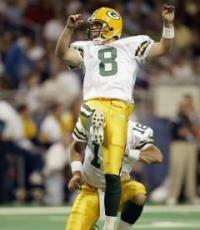 With the Packers, Longwell played in Super Bowl XXXII, where he kicked one field goal and three extra points in their 31-24 loss. He then signed a free agent contract with the Minnesota Vikings in the 2006 offseason. In his NFL career he has made over 360 field goals and scored over 1,650 points. A Ryan Longwell appearance is sure to have some great stories. Having played in a Super Bowl as a teammate of Brett Favre, Donald Driver, Antonio Freeman and Leroy Butler he can share the experience with your guests. Based on your interest in Ryan Longwell as a speaker or for a personal appearance, Direct Sportslink has provided you additional links below for other sports talent with similar appearance fees, speaker topics, and categories that match Ryan Longwell.